It's probably safe to say that aviation enthusiasts really like model airplanes. A nice well-made aircraft model will last forever and can be displayed at home or at work. Try The Airplane Shop or Scalecraft.com for pre-made and custom aircraft models. A wooden propeller makes a nice addition to any avgeek's home or office. You can find a selection of nice replica propellers online at A Simpler Time. If you want to get creative, search online for aircraft parts and vintage airline décor. You might find a vintage pilot bag or something like this galley cart on Etsy.com. These items are a lot of fun and make great conversation pieces for the aviation enthusiast. A taxiway lamp from Sporty's Wright Bros. Collection would make a great gift for the desk of an aviation enthusiast! If there's anyone that needs one more pair of sunglasses, it's the avgeek who is always looking up at the sky. Aviation enthusiasts spend a lot of time outside, watching and photographing airplanes or working at airports. A nice pair of aviators will make them smile…and squint less. Airplane rides are still a thing for aviation enthusiasts. Flying is expensive, so although avgeeks really love airplanes, they may not get to fly as often as they'd like. Buy them a gift certificate to the nearest flight school or a ride on a rare warbird and maybe they'll even take you along! A great aviation photo or piece of artwork always makes a classy gift for the aviation buff. Choosing a local artist or a photo of an airplane they love will make it more personal. Something like compass themed note cards from Etsy.com is a great gift for the office. Personalize them with the recipient's name or an aviation quote to make them special. Avgeeks like to watch shows about - you guessed it - airplanes! Items like the hit TV show The Aviators or an aviation documentary like One Six Right are great choices. Or gift a great coffee table book like In the Cockpit: Inside 50 History-Making Aircraft, available from Amazon.com. Try to stay away from the cheesy clothing items (like the ones that scream "I'm Cool Because I'm a Pilot!") but a T-shirt or baseball cap from a favorite airline or aircraft manufacturer like Boeing or Airbus is probably a good choice. For an aviation guru that doesn't already have one, a transceiver radio makes a great gift. 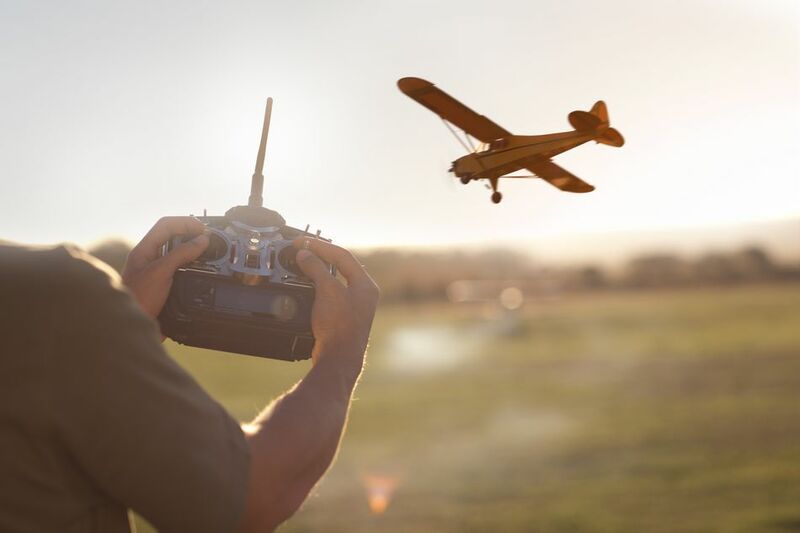 A transceiver allows the aviation enthusiast to listen to aircraft and air traffic control transmissions from the ground - a fun time for any avgeek. You'll find a good one like the iCom IC-A14 at Sporty's Pilot Shop and it'll set you back $200-400. X-Plane 11 Global Flight Simulator is one of the newest and best flight simulator software around. The graphics are good and at around $60, it's easy on the budget.